Meet Leo, our cuddly lion cub. He loves listening to music and playing soccer, but he’s having some challenges hearing at school. 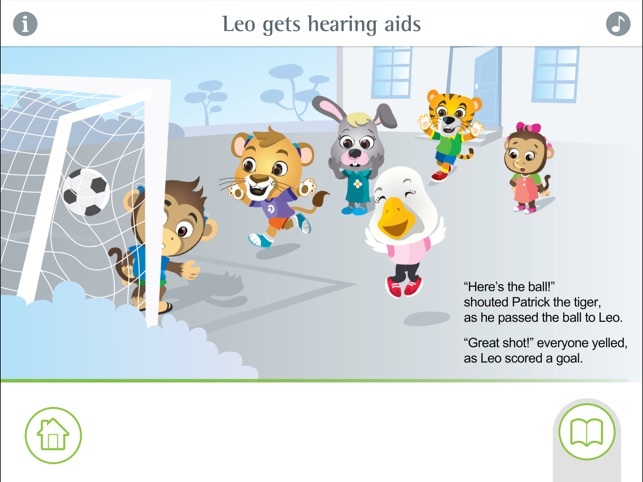 Join Leo as he learns all about his hearing loss and the products available to help him hear more - at home, at school and at play. 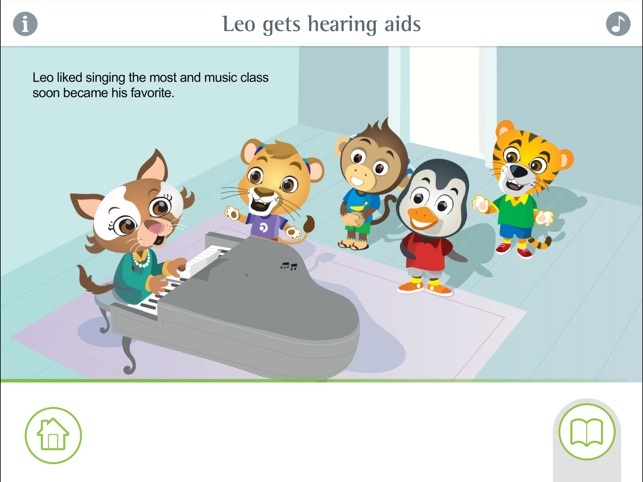 First he gets hearing aids and then Leo adds a Roger system, giving him easy and enjoyable access to a world of sounds and allowing him to fully participate in life. 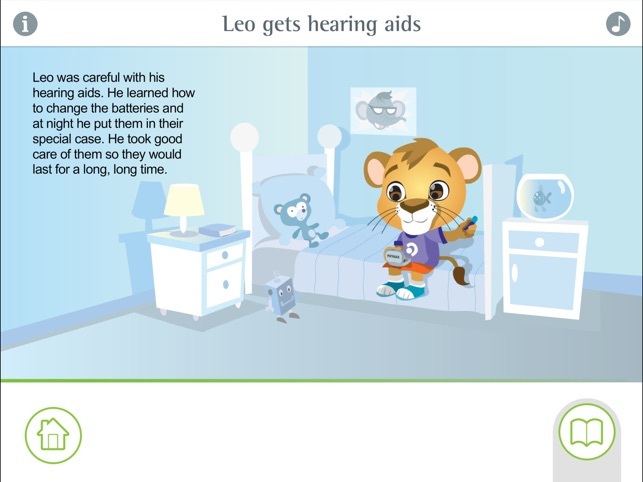 Simply swipe though the pages of Leo gets hearing aids and Leo gets a Roger system as you read along with the stories. Tap on the characters to make them come to life and use the bookmark bar for quick access to your favorite pages. 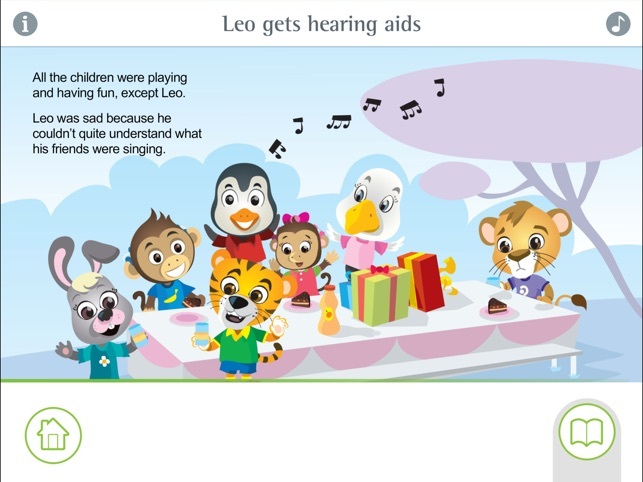 These two books are a wonderful resource for parents, teachers and caregivers looking to help children and their peers to better understand hearing loss and learn about available solutions. 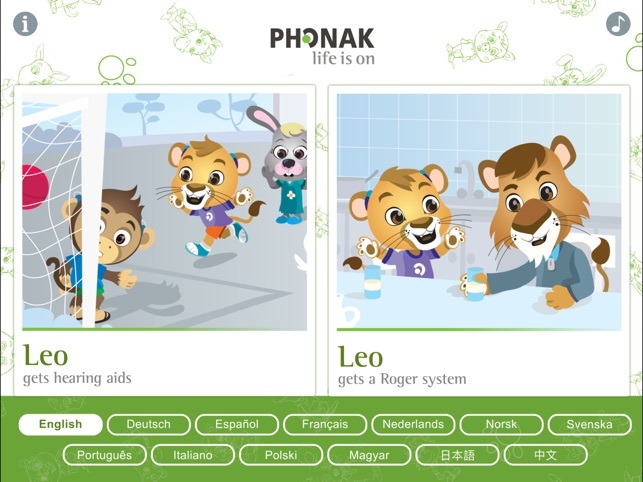 The app is available in: English, German, Spanish, French, Italian, Portuguese, Dutch, Polish, Norwegian, Hungarian, Swedish, Japanese and Chinese. Thank you for using Phonak Leo. 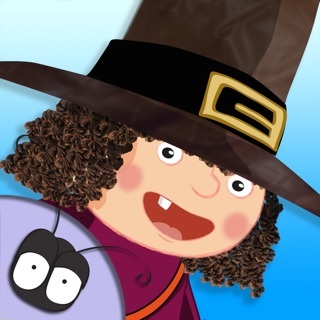 This version contains a few minor bug fixes.